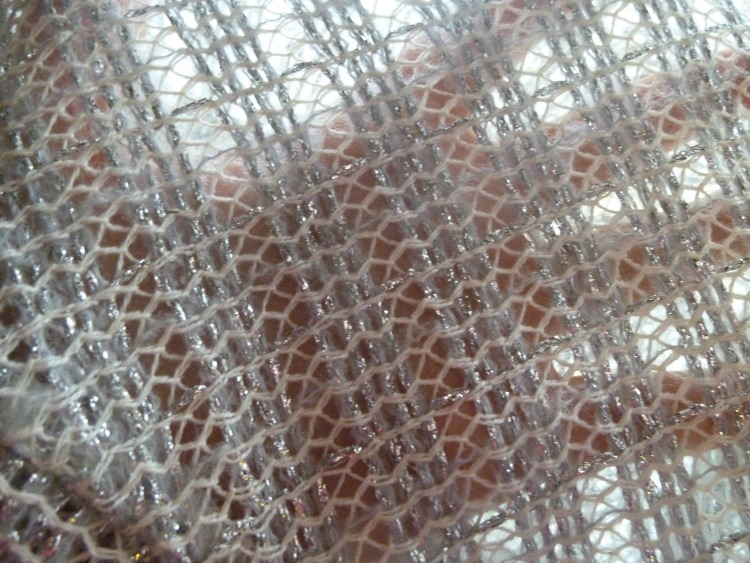 What do you do with a fabric that you can't press, pin, wash, or mark? 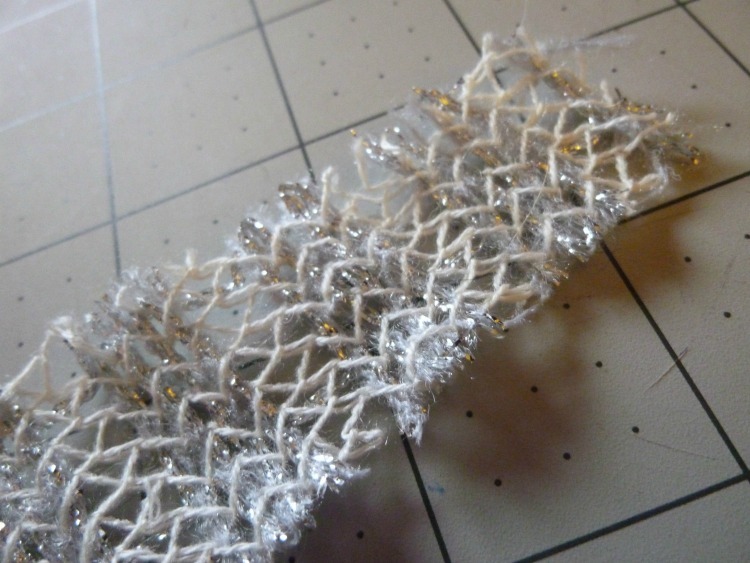 That frays, gobbles up stitches, stretches in ways you don't want, and creates glitter once cut? Oh, and it's striped. If you're me, I guess you make an Oslo cardigan! You know how Mood has a Deal of the Day fabric, something at the crazy price of 50% off? (If you didn't know, I apologize now, as you're about to spend more $$ there than you've planned.) I previously bought one of those half-off fabrics (pink stretch silk charmeuse!) and loved it, so when I saw this wool blend knit I had to have it. It's wool, acrylic, and lurex. It was listed as a knit that doesn't stretch. I didn't even bother trying to press it because of the acrylic and lurex. The weave is SO open that pins fell out. The cut edges frayed and the lurex disintegrated and left sparkles all over my sewing room (and me). I also didn't wash it, probably a first for me. It's hands-down the craziest fabric I've ever sewn. All of that said, I knew exactly what I wanted to do with it. 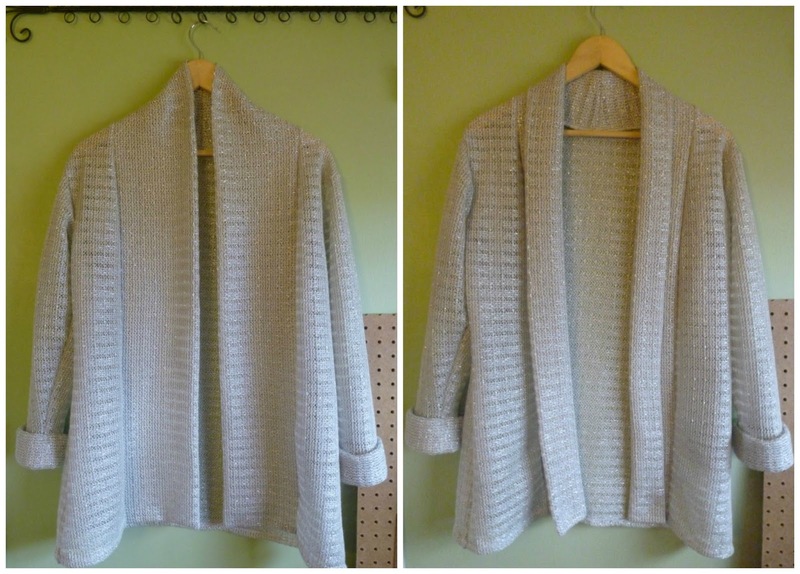 I couldn't wait to sew this up in an Oslo cardigan, one of the December patterns from Seamwork magazine. 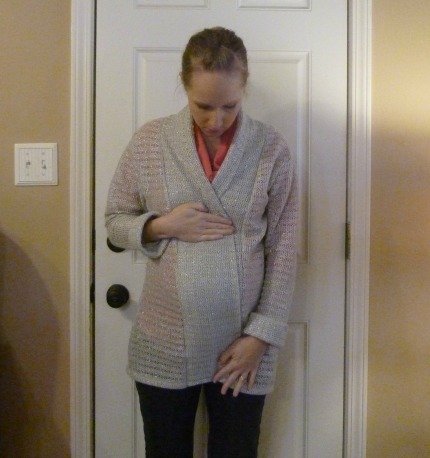 After a mere 5 months, pregnancy sewing is boring me to tears, but I knew that a cardigan would be useful now and for years to come. 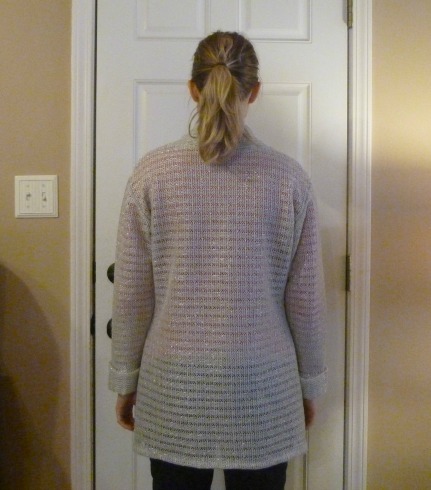 Seamwork provided an excellent article about sewing with sweater knits, and that gave me the confidence to plow ahead with this beast (you can read the articles for free, it's $6/month to subscribe and receive the patterns). I'm not entirely sure how I feel about the completed garment. The fabric was a real challenge (in a good way, I learned a lot) and I don't know if it works well with the pattern. It's a bit stiff and I think it makes the cardigan look enormous on me (I made a small). Normally I'd give you my measurements for comparison, but they change every day, ha! It looks particularly...fluffy...from the side. You can't even tell that I'm pregnant in the above photo. Ooo, but if you look closely, you can see my stripe-matching on the side seams! I'm not crazy about this color ON ME. I love it, but I think silver and white kind of wash me out. 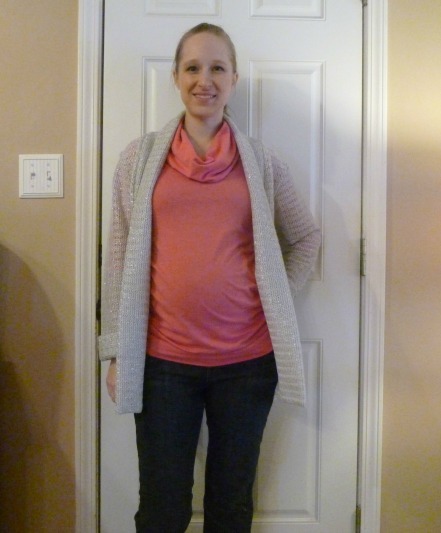 I styled this with the brightest maternity shirt I could find (a modified Renfrew, blogged here) to help bring some color into the picture, but still all I can see is OLD MAN SWEATER. 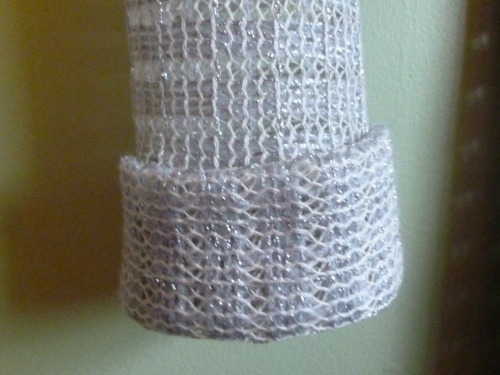 The pattern is very well drafted and the instructions are excellent. Good thing too, because every stitch completely disappeared into the weave. If I had made a mistake I would not have been able to rip it out. I was even able to sew the sleeves in flat without issue. The seam allowance is only 3/8" so choose your size wisely. I did a LOT of test sewing to figure out the best stitch for construction. I ended up following the guidelines in the Seamwork article, a zig-zag stitch with a length of 2.0 and a width of 1.5. 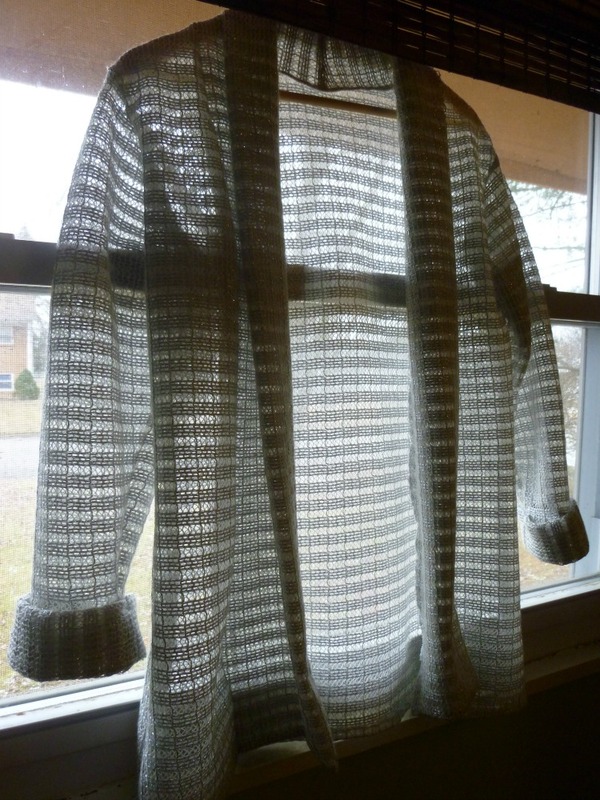 Yes, you read that right, I assembled the whole thing on my sewing machine even though it's a "knit". All the seam allowances were finished on my serger. I sewed the hem by hand after serging the raw edge. With white thread you can't see the stitches at all, so I didn't have to be particularly careful with it. Next time, I'll add some length to the sleeves. It's probably a personal preference but I'd like them longer than the above. The shoulders are dropped and it made it hard to know exactly how long they'd end up. I'm also not sure my cuffs are done correctly. Again, I think it's an issue with my fabric, but the cuffs are crazy big compared to the sleeve and looked stupid before I cuffed them. I turned them down and tacked them just over the seam. If I could unroll them maybe the length wouldn't be an issue, but like I said they looked bizarre since there wasn't the right stretch. 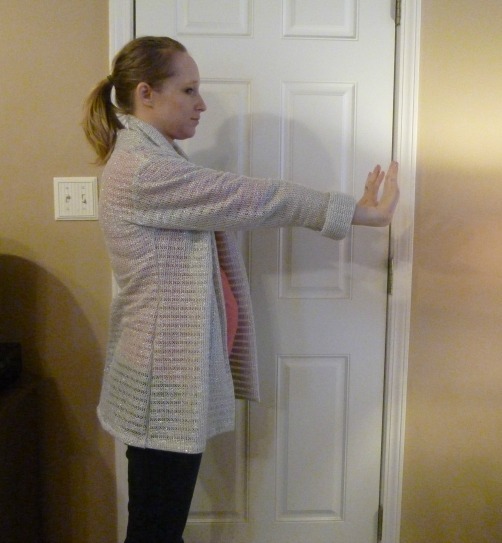 Above, on the left, the cardigan with the collar unrolled. On the right, folded down. I don't know...your thoughts? Do I need a size x-small? Is the back too wide? The fabric not right? Too long on me? Some combination of those things? It's such a pretty garment, I hate to stick it into the closet, and I'm not going to fault the pattern if the fabric was the problem. 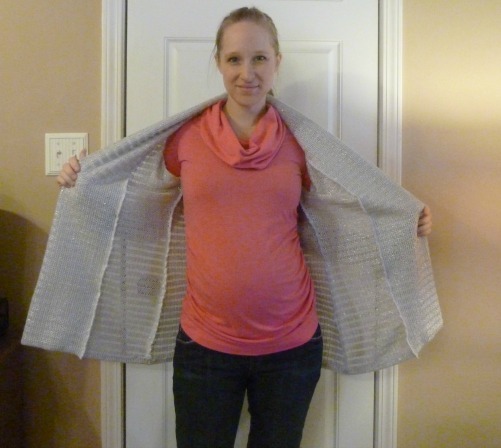 With a standard knit this would be a quick sew and could keep you cozy all winter! I think a softer fabric with more drape would be better, and I see what you mean about the color on you. It is a pretty sweater. As far as length and width, I think that would be personal preference. Try an x-small and see! I applaud your perseverance in working with a difficult knit! I think maybe I should shorten it a little so it's more proportional for my height. I'm sure it's drafted for someone a bit taller. Thank you for blogging your oslo! I made one with a similar type of fabric to yours (I managed to also make mine in a colour I wouldn't normally wear!). 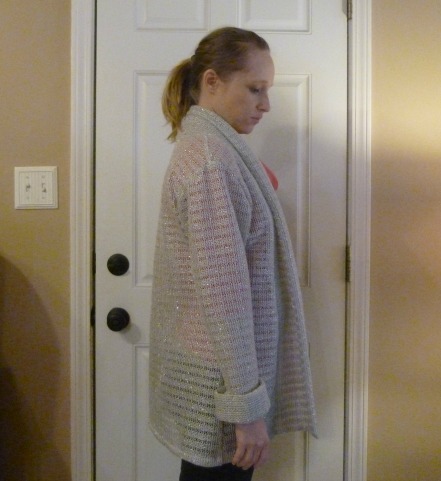 Mine was also too big with weird cuffs, I think perhaps it needs either a lighter more drapey fabric so that it is a light cardigan or even a heavier fabric so it is more jacket like. I do like yours more than mine - I love the grey/silver colour! Maybe we should trade haha! I'm so glad you mentioned tacking cuffs in place. That's what I was planning on doing because I don't like how they keep slipping over the seam!